Mount Everest, the highest mountain in the world lies between Nepal and Tibet. It is a must see on many people’s bucket list but to some it seems so far out of reach. 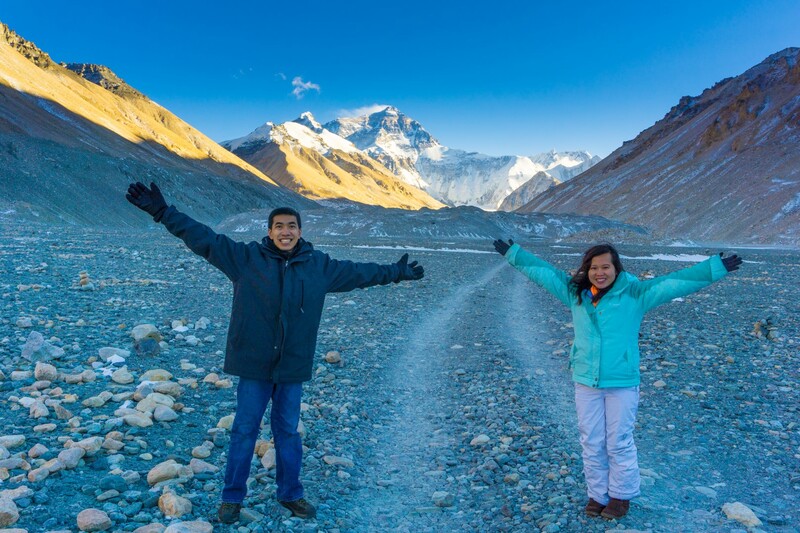 In January 2016, we decided to take a trip to Kathmandu, Tibet, and Mount Everest. It is by far the most memorial trip we experienced thus far and we still think about it almost everyday. January is the winter in Tibet, so the weather was very cold. However, the benefit of going during this time of the year is the clear weather and a lot less tourists. Some people go to Mount Everest other times of the year only to find it is covered in clouds. By going in January, the chance of seeing Everest in clear weather is much higher. We chose January as it worked out for our work schedule but also recommend anyone interested to go during the warmer months of April to May. There are two ways you can see Mount Everest. First from the south side of the mountain in Nepal and the north side of the mountain in Tibet. In Nepal, you can see the mountain via a route that requires trekking a few days to get to the base camp. 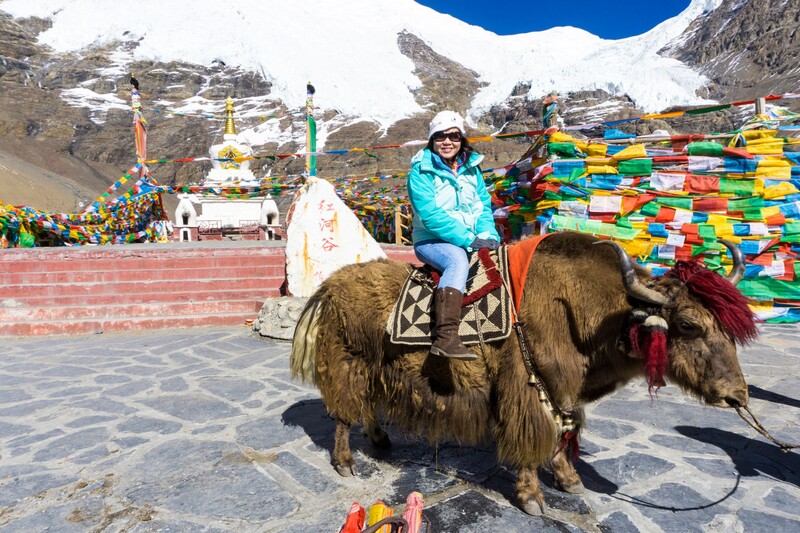 In Tibet, you can take a tour that will take you directly to Everest Base Camp by means of a vehicle. 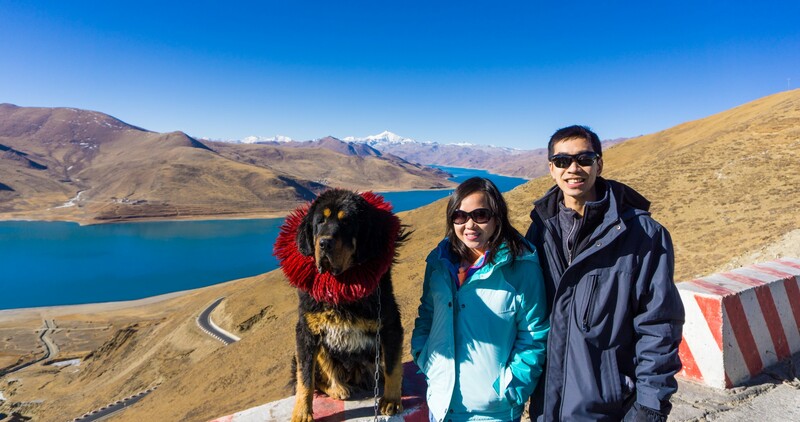 We chose the route to see Mount Everest from the Tibet side mainly because we wanted to see Tibet also on this trip. 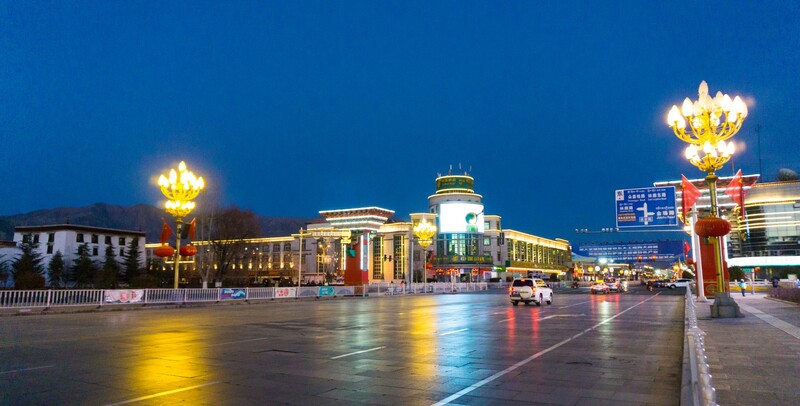 The main airport in Tibet is in the city of Lhasa. 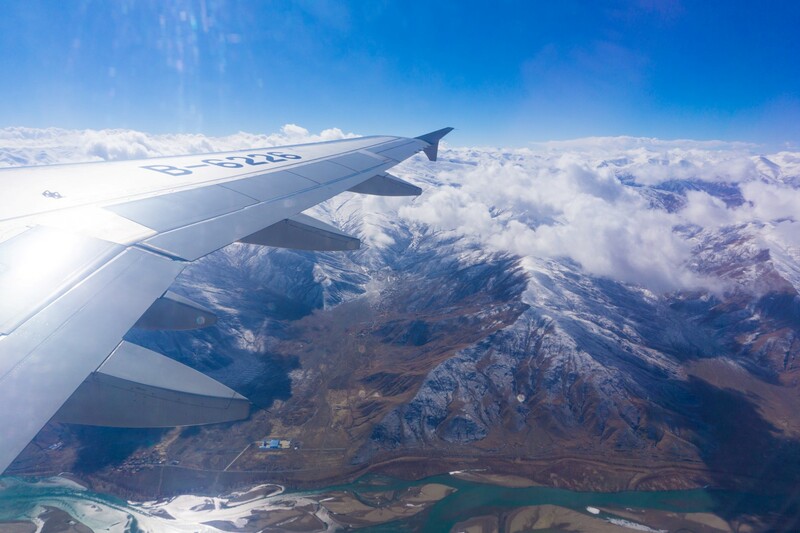 There aren’t many airlines that fly to Lhasa, so your options are pretty limited. 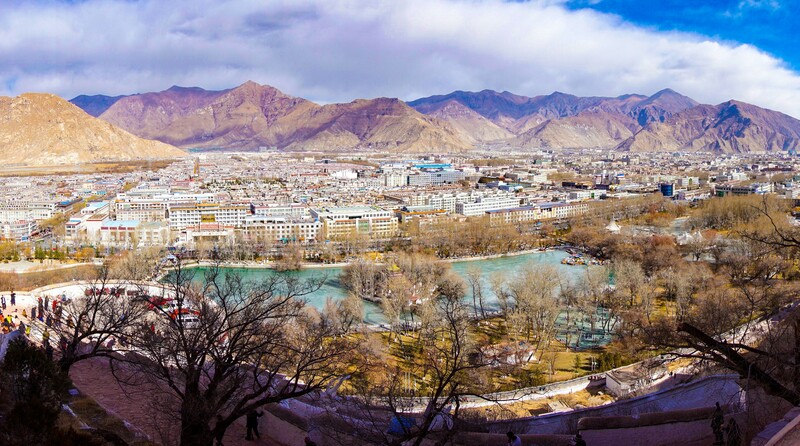 The two ways to get into Tibet is first to take a flight to a major city in mainland China, then take a flight from there to Lhasa. The other way is to fly from Kathmandu, Nepal to Lhasa. That is right, the only international destination that flies to Lhasa is from Kathmandu. We started our trip by flying from the USA to Kathmandu, Nepal. Flights from the US to Kathmandu is typically around $1000 per person. However, you can use 67,500 American Airlines points per person to book business class tickets on Etihad Airways, which is what we did (due to recent devaluation of points, it now requires 80k points per person for the same flight). Review of our flights will be in a separate blog entry. 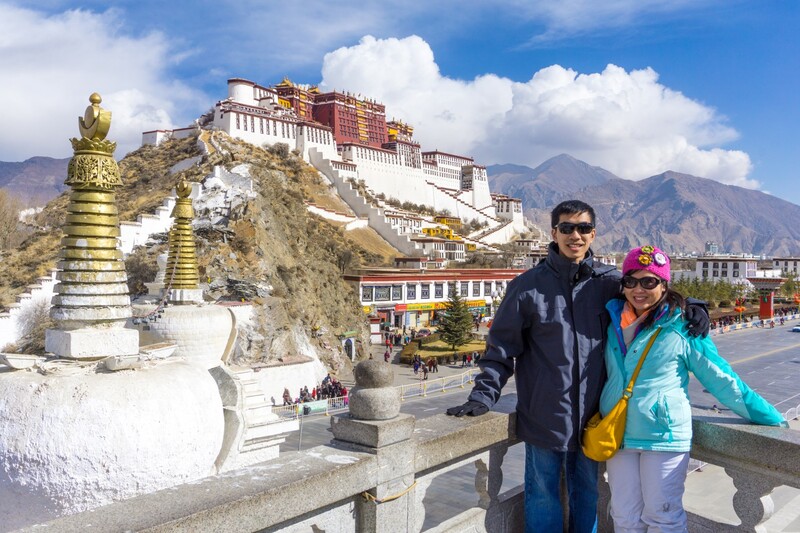 We stayed in Kathmandu for a few days then took an Air China flight to Lhasa. Note that, because there are only two airlines that flies Kathmandu to Lhasa route (Air China and Sichuan Airlines), the ticket prices are outrageous. The flight is only about 1 hour each way but the ticket costs about $600 – $700 round trip per person with either airline. The view of flying over the Himalayan mountains on the plane. 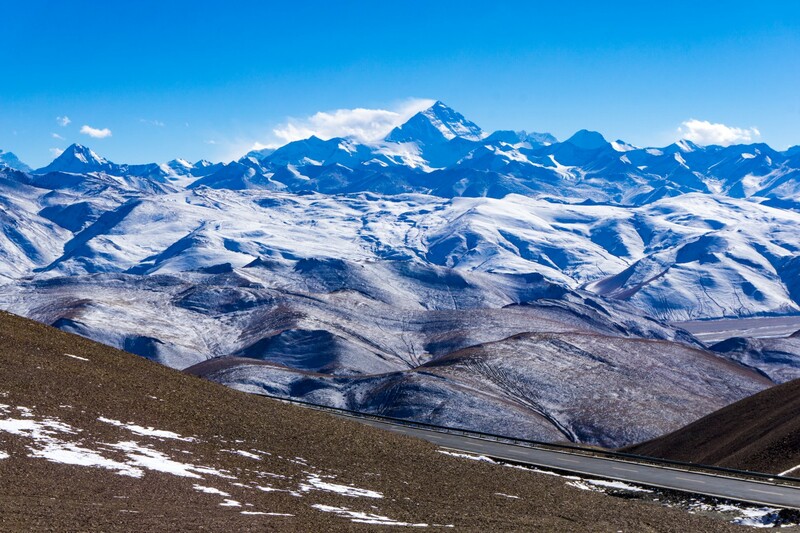 In order to see Mount Everest and Tibet, you must be on a group tour, no exceptions. You cannot go to Tibet or get to Mount Everest on your own. We did the tour with a reputable and good company called Himalayan Glacier (http://himalayanglacier.com/). The tour includes a driver, tour guide, and all lodging. We had a great experience with this company and highly recommend you consider them. 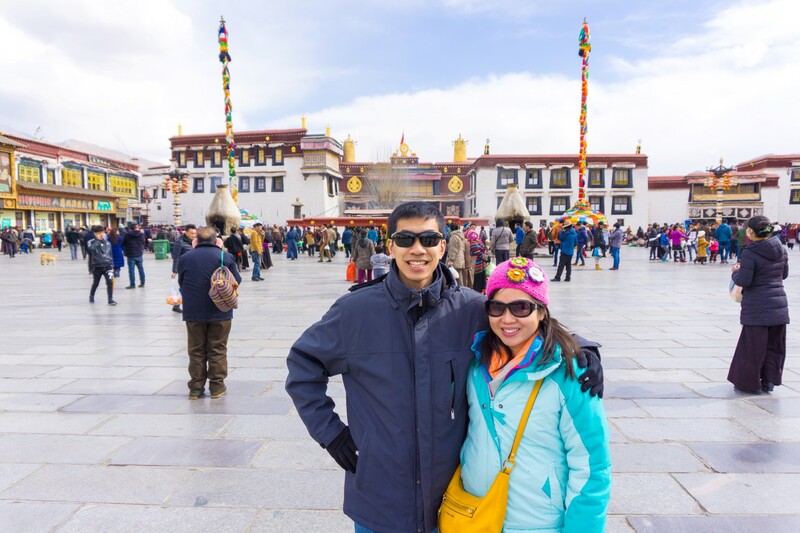 Note that in order to enter Tibet, you must be on a tour and get a special Tibet visa. The tour company will help you obtain the visa with additional fees. This is required to enter Tibet and you must keep your visa with you almost all times especially en route to Mount Everest as there are many security check-points throughout Tibet and they officials will check your passport and Tibet visa. 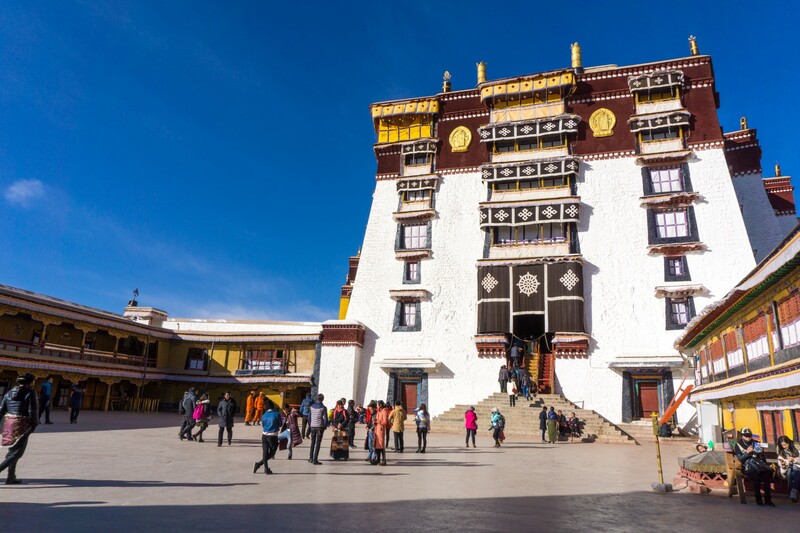 Entering in Tibet, it is pretty strict so you want to comply to certain rules such as having a tour guide, stop for speed check, allow them to check your bags anytime requested, don’t keep any religious items, talk about the political issues of Tibet, and etc. As long you comply with some of these restrictions even though it can be nuisance, you won’t have much trouble in Tibet. 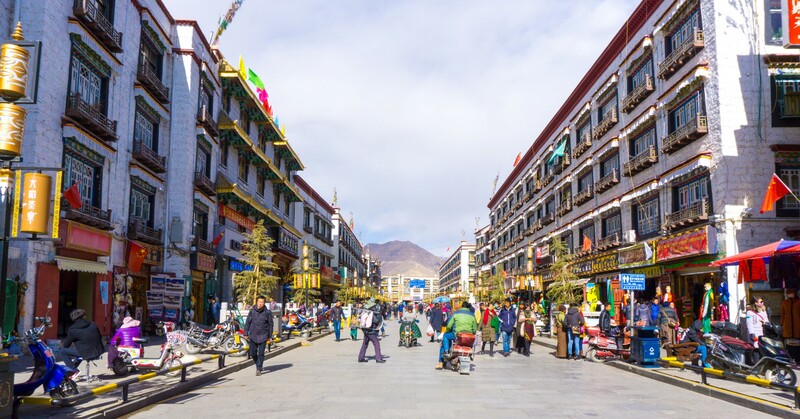 When you’re in the city of Lhasa, you are allowed to walk around the city without the tour guide accompanying you. The whole tour to see Tibet and Mount Everest is 8 days long. 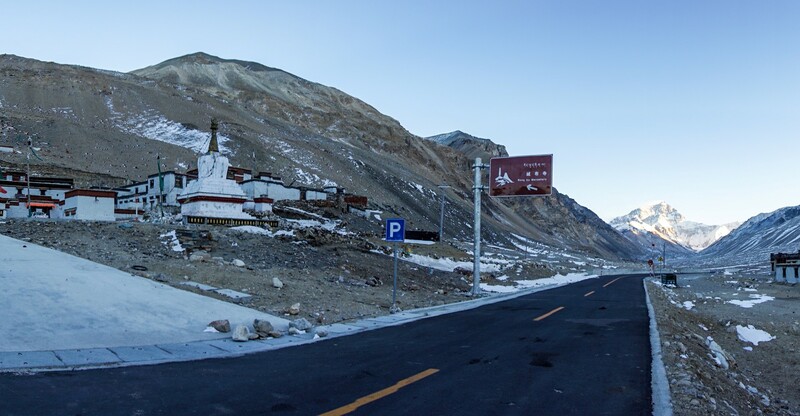 It consists of exploring Lhasa (2 days), driving to Mount Everest and sightseeing along the way (3 days), and then driving back to Lhasa from Everest (2 days), and the final day is for the flight out. The full schedule of the trip can be found here, so we won’t repeat it in this post. Note that you can change and alter the schedule to however you want, as the tour company is pretty flexible. 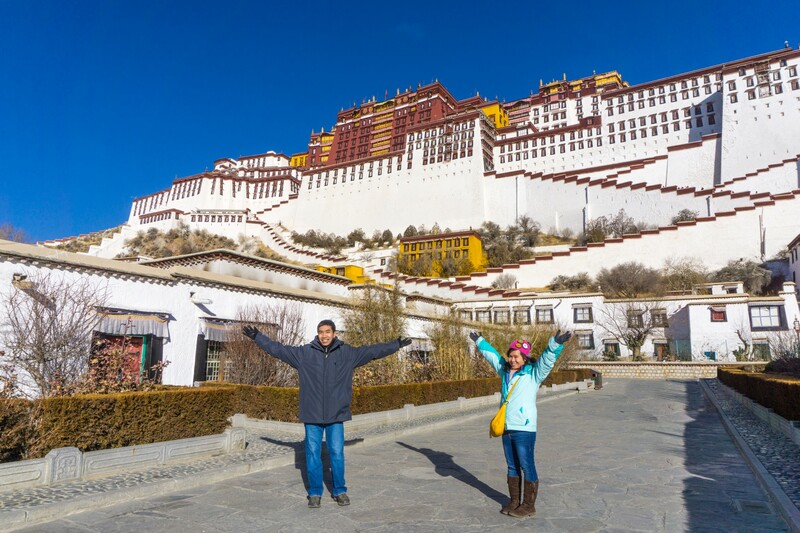 Tibet is an amazing country with the most friendly & peaceful people we’ve met including the most amazing scenery, and is one of our favorite place out of the many we have visited. 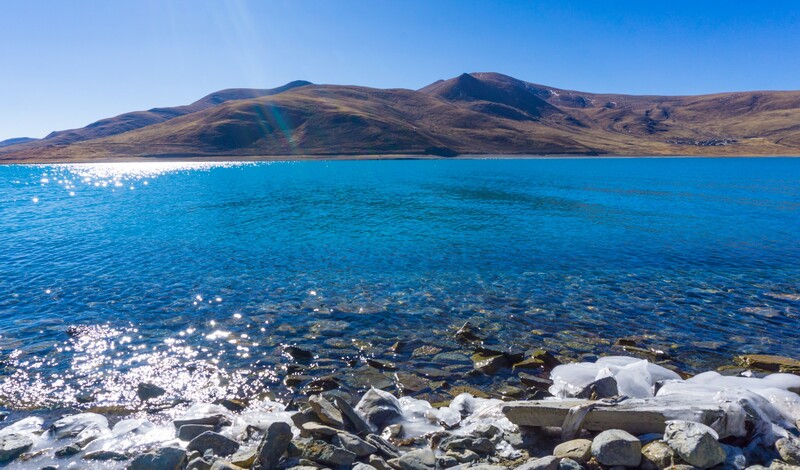 Altitude Sickness: Lhasa and Everest Base Camp are both at a very high altitude compared to what most people are used to, so altitude sickness is a major problem. Altitude sickness causes you to feel tired, nauseous, and sick. And in some cases, it can be a medical emergency. There are medicines that can help relieve the symptoms of altitude sickness. The most common medicine is by taking the prescription drug called Diamox. 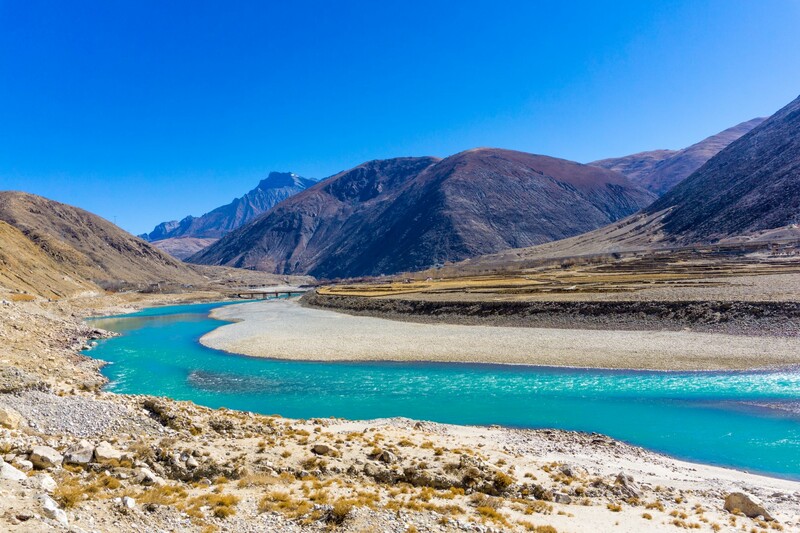 It helps reduce the effects of altitude sickness and we highly recommend you ask your doctor for the prescription and take it the start of your trip in visiting Tibet. In fact, we might have not been able to make it to Everest Base Camp if we did not have this medicine, as we both were not feeling too well the higher we ascend during our trip. Our recommendation, take the medicine and don’t risk it! Many people who choose not to take it, end up getting extremely sick on the way to Everest, and having to cancel the trip midway in order to descend, missing the chance to see Everest completely. 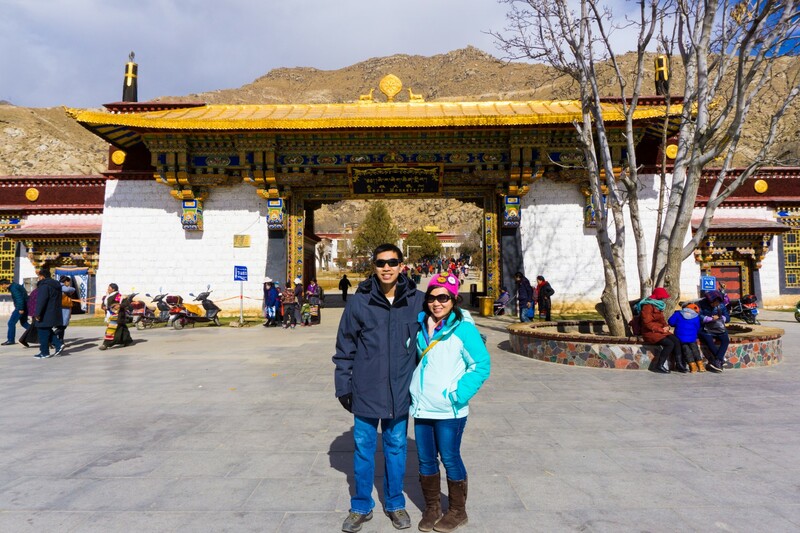 Day 1 – We landed at Lhasa airport and was picked up by our tour guide that drove us to our hotel. 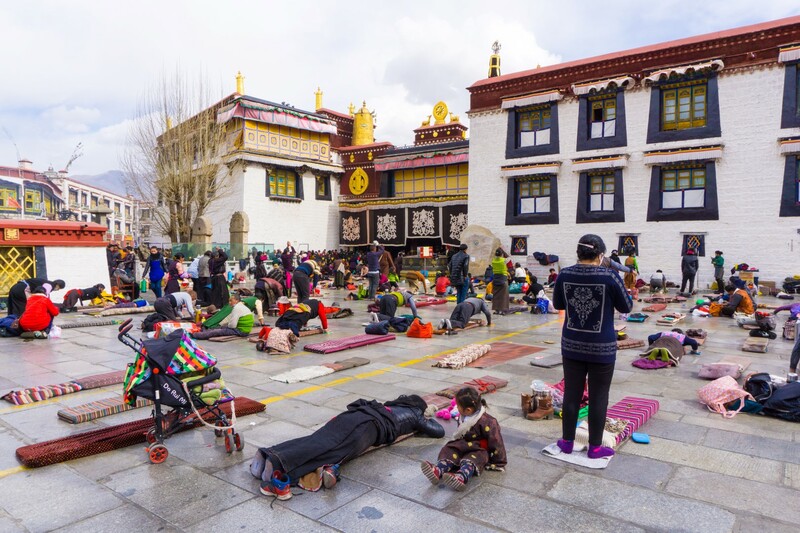 Lhasa is high in elevation so there is less oxygen in the air than what people are used to, so the rest of the day we just take it easy in order to acclimate. 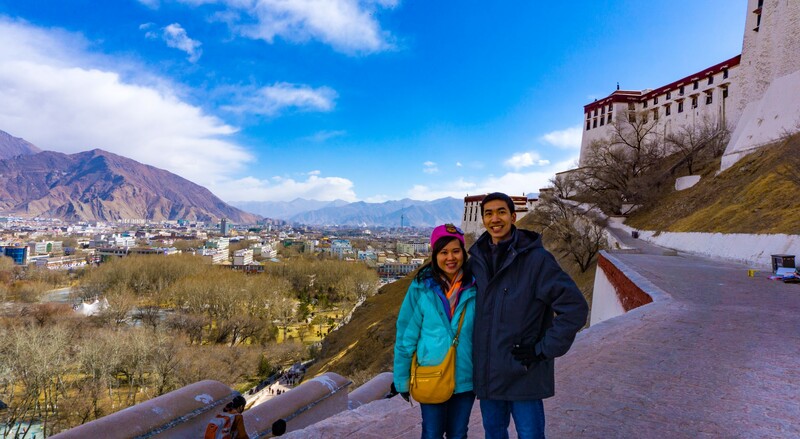 Day 2 – We visited the Potala Palace in Lhasa. 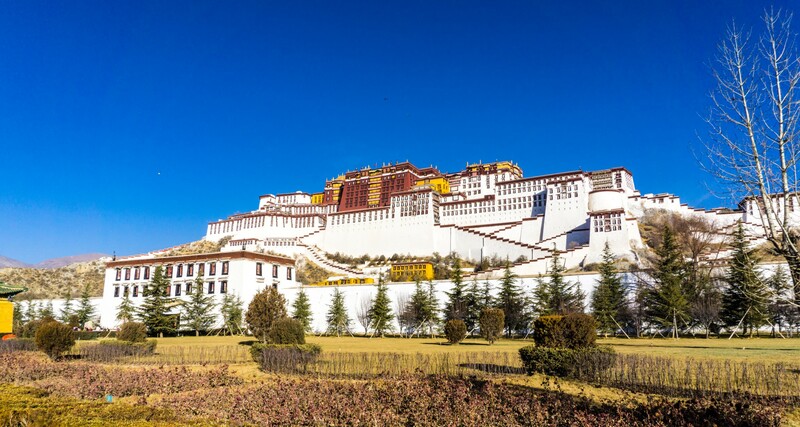 The Potala Palace is a UNESCO site that was once the winter home of the Dalai Lama. It was on our bucket list for a long time and it did not fail to impress. It is a huge building, with thousands of pilgrims visiting and praying. The palace itself is very high up, so we had to walk up many stairs, slowly since you don’t want to over exert yourself due to the high altitude and less oxygen. 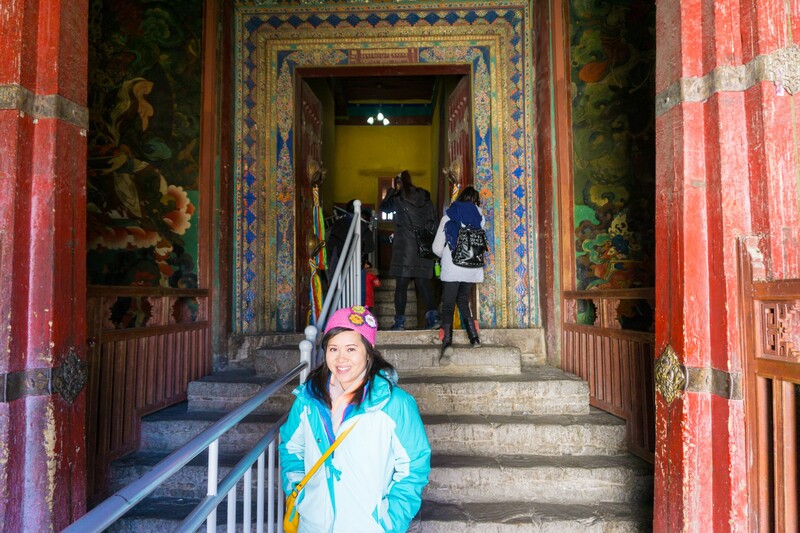 Day 3 – Sera Monastery, Drepung Monastery, Jokhang Temple, Norbulingka Palace (summer home of the Dalai Lama), and Barkhor Bazaar. 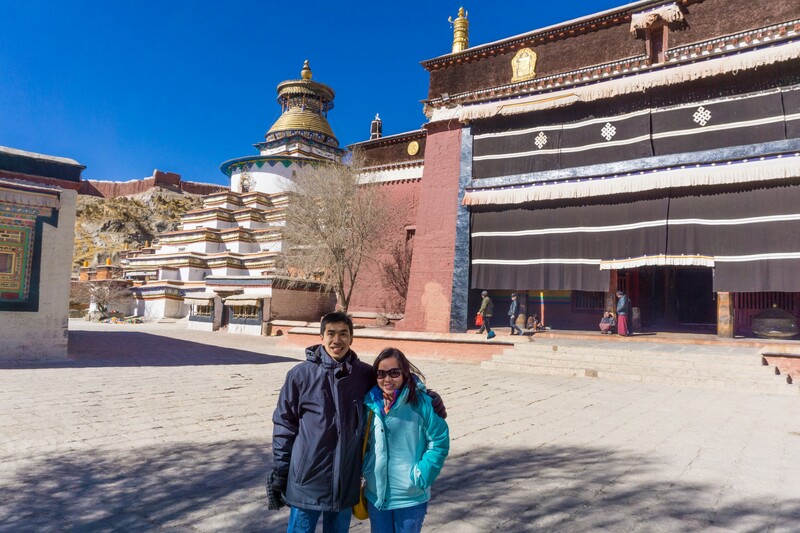 It was an amazing experience to visit these holy Tibetan Buddhist sites, as you can feel a sense of peace at these places. The tour guide taught us many things about Buddhism and we learned to appreciate it more. 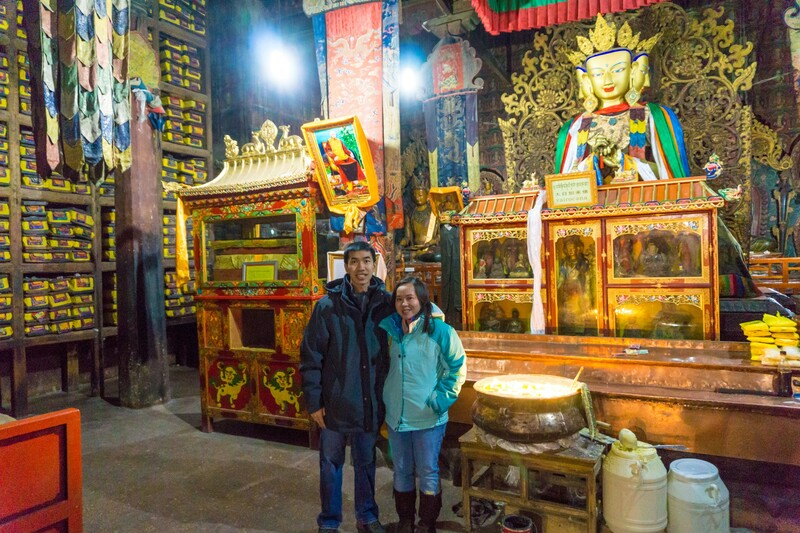 Day 4 – Today we began our drive from Lhasa to Everest Base Camp. The drive is about 8 hours and we finally arrive in Shigatse, the second largest city in Tibet. During the drive, there are a lot of Chinese checkpoints along the way. At each checkpoint, the tour guide had to present our paperwork to the authority before we are allowed to continue. In addition, there are “speed control” between each checkpoint. Basically, if we arrive at the next checkpoint too early, we have to sit in the car and wait about 10-20 minutes until the designated time we are supposed to be at that checkpoint before we can continue. However, there are many beautiful sites we stopped along the way to Shigatse. Lunch at a restaurant en route to Mt. Everest. The temperature was in the 30s and there is no heat in any of the building. A stop along the way riding a Yak with the backdrop of glaciers and Tibetan flags. 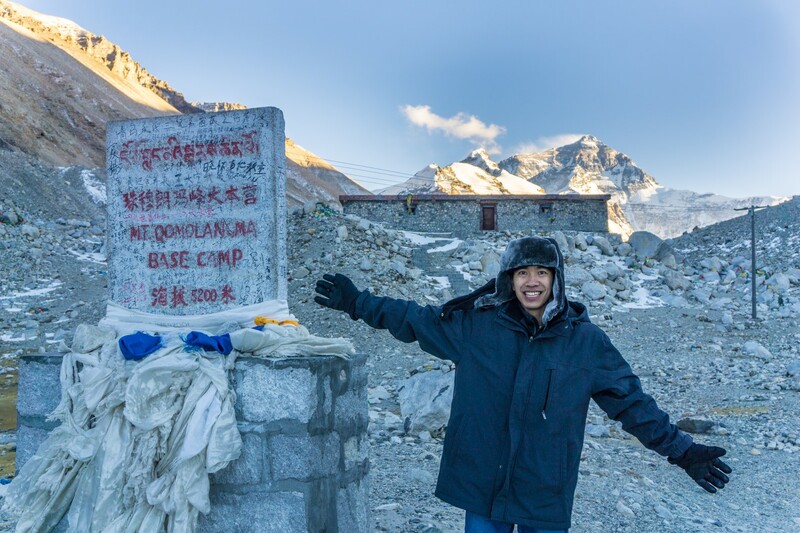 Day 5 – From Shigatze we continue on to Everest Base Camp. This is another full day of driving with some sightseeing along the way. 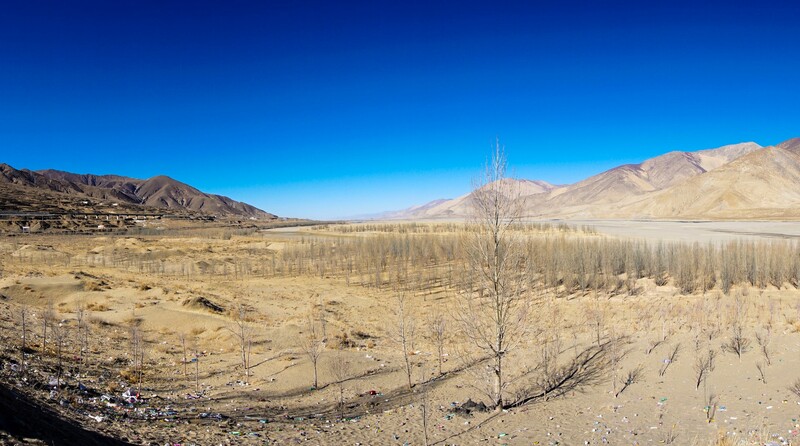 The landscape of Tibet is really nice but really barren with not a lot of trees. It is mostly just dessert and dry land throughout the whole way with a few rivers and lakes. There are not many restaurants along the way, except for a few that are located at the different towns. The road leading to Everest Base Camp. You can see Everest from afar. View of Everest and other mountain ranges from afar. We finally arrived at Everest Base Camp at around 6 PM. The sun was still shining bright and there were no clouds covering the mountain, so we had a really clear view of Everest. We took plenty of pictures and were thankful to be able to see it in clear weather. 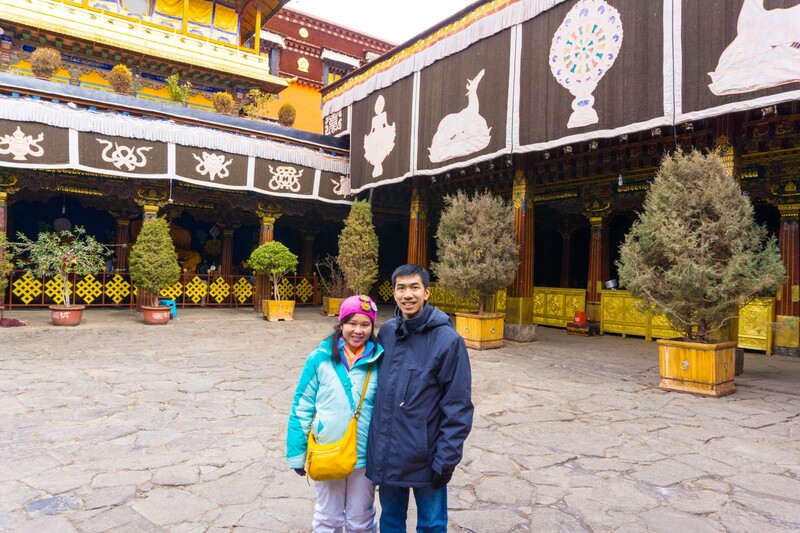 In the original schedule, we were supposed to stay overnight at Rungbuk Monastery, which is the only “hotel” that is opened and available during the winter at Everest Base Camp. However, due to the lack of tourist and cold weather, the monastery was closed so we did not stay there overnight. Instead, the driver drove us all the way back to Shigatze, which is another 6-7 hours drive. We made back to the hotel at 1 AM that night. Once arriving at the hotel, the only thing we ate was the cup noodles we bought previously, as there are no time or restaurants that were open on the way back. We couldn’t stay at Rongbuk Monastery hotel because it was closed and according to our tour guide this was the first time it had happened. They informed us that the monks closed the monastery as there weren’t much visitors to go down for the winter as it was bitterly cold. Can you imagine living there without heat? 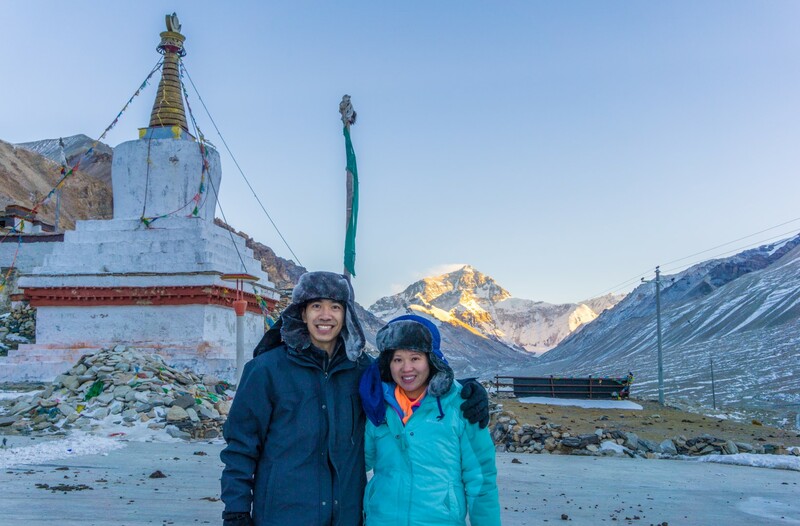 If you are to go on this tour during the recommended month of April-May, you will get to stay in the monastery at the base camp overnight, and be able to enjoy the sunrise in the morning. However, do note that the monastery has no heat or running water and very basic accommodations. 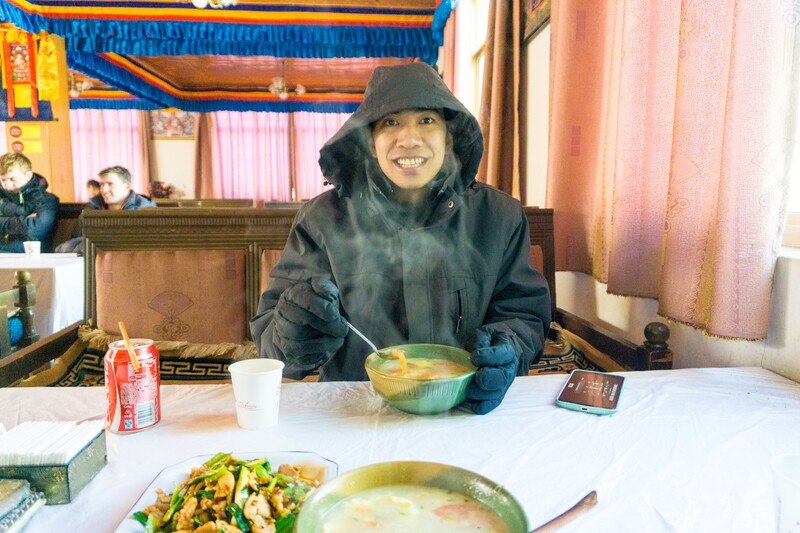 We think this was a blessing in disguise as we didn’t think we could stay a whole night at Rongbuk under this frigid weather without any heat. Though the drive back to Shigaste was long but we were glad to not have to stay overnight in such a cold environment. 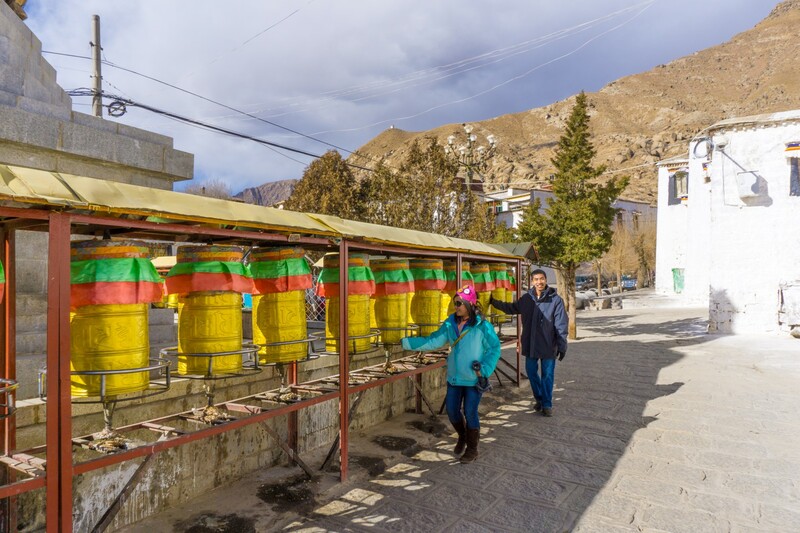 Day 6 – Today we started our drive back to Lhasa. The route driving back is different than the route going to Everest as it is shorter with less sightseeing. 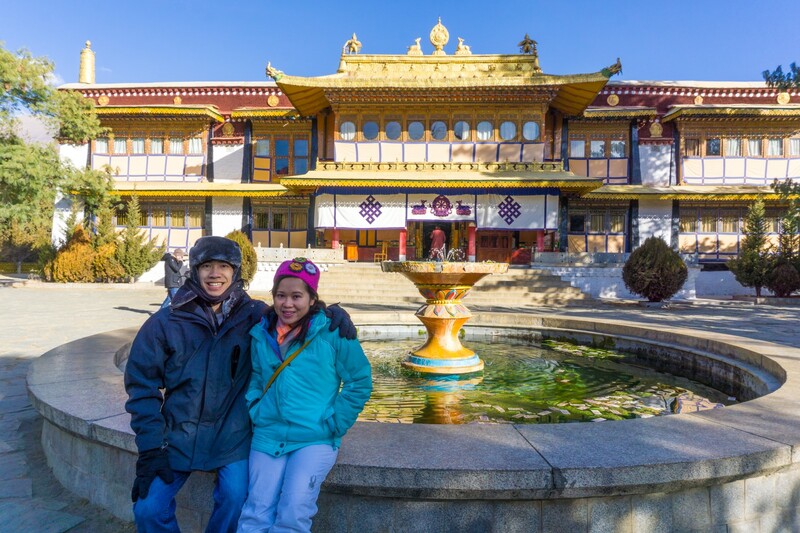 We were both very happy to have seen Everest, but after a few days of being in the car in remote places, we looked forward to getting back to Lhasa where the hotel have heat with much more lively environment. 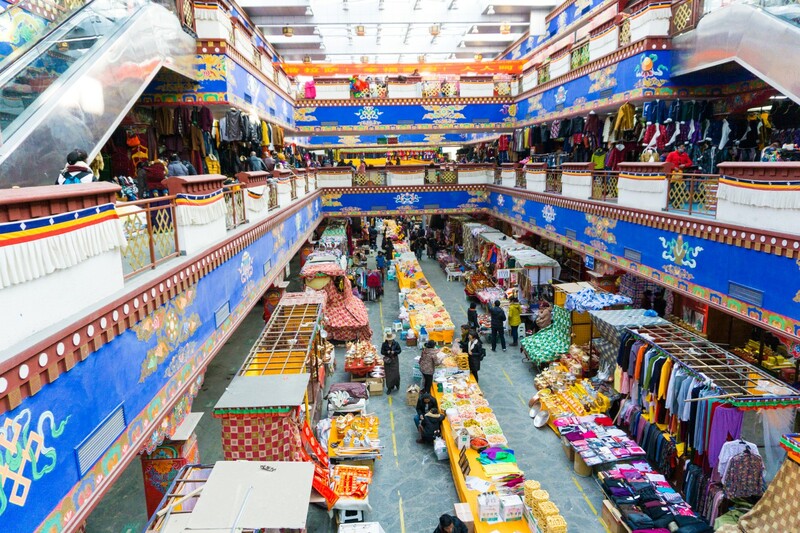 Day 7 – Arriving back in Lhasa, we spend the remaining day exploring the city, seeing the remaining sites that were did not get to see previously. 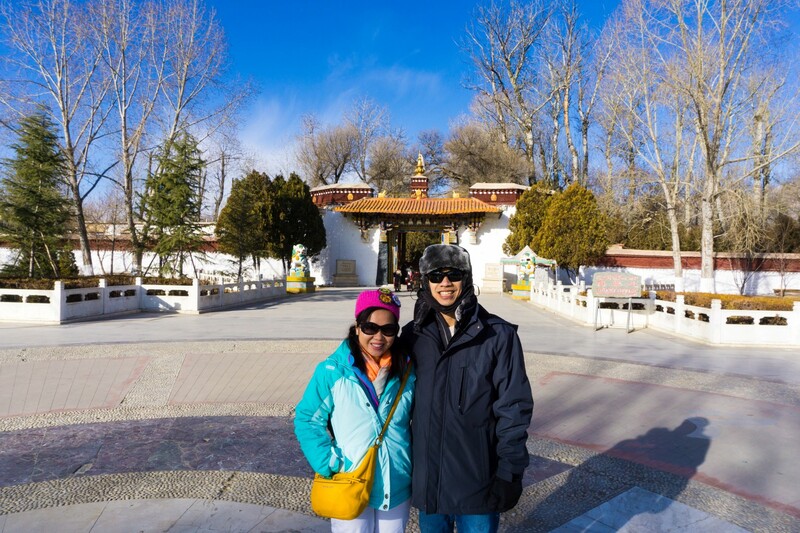 We really enjoyed our time in Lhasa. Day 8 – Today is the last day and we headed to the airport for our flight back to Kathmandu. 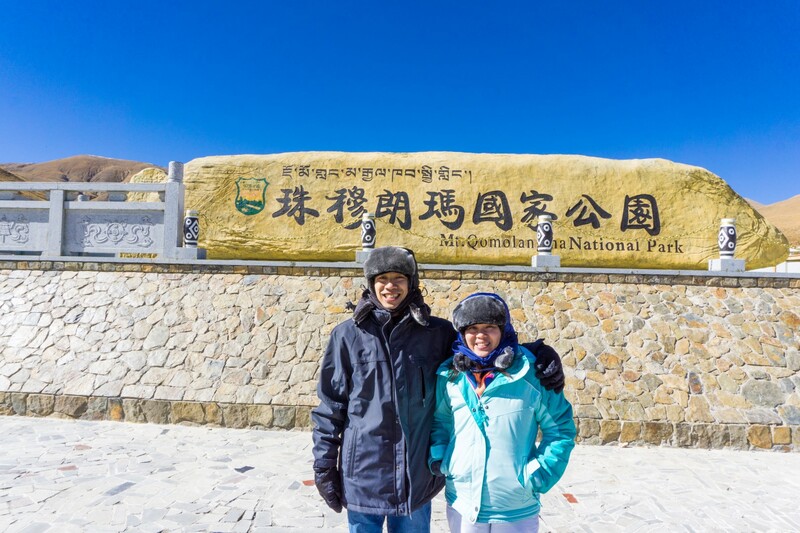 Visiting Tibet and getting to see Mt. Everest was definitely a trip we will always remember. Tibet is a land with so much rich religious history that you must visit to experience their beliefs and cultures. We don’t know what will happen to the Tibetan people in the future but we pray for them and their land. And Mt. Everest, the grand majestic mountain of all, will never be forgotten. Thank you for visiting! I’m glad you like the blog. We hope that it would be useful for you later on when you do travel. Do feel free to ask if you have any questions :). May I ask how you stumble upon this blog? I mean what did you search for, and what page linked to this blog? Thank you! I was actually searching for Phuket Itinerary as we’re planning to do Dubai/Phuket later this year.